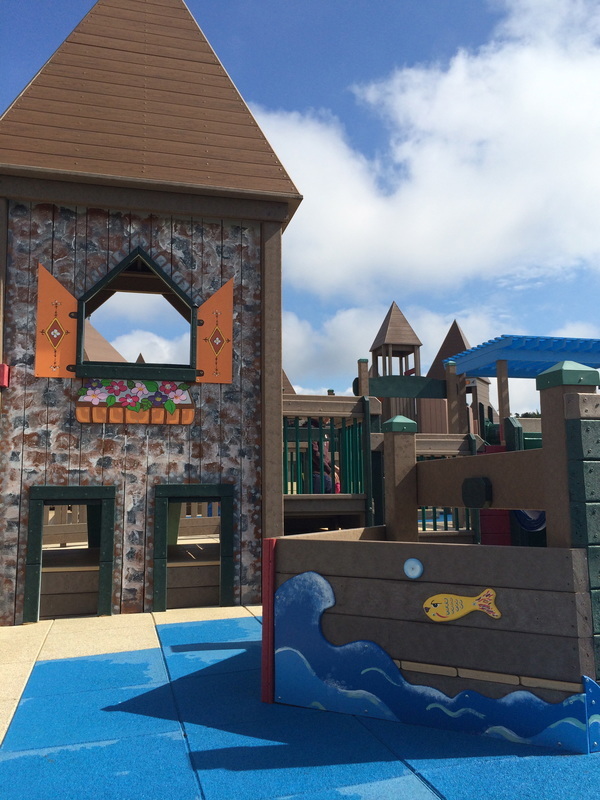 For a few months in 2014, I participated and volunteered in the designing and painting of the new playground at Turkey Brook Park, in Mount Olive, New Jersey. This beautiful complex has become the center for recreation, sports and activities to my beloved community. It was an honor for me to be selected as a member of the art committee; to dreamed, to designed and to painted PlayMore -along with other volunteers from our community, so this playground became a magical and safe place that is today. 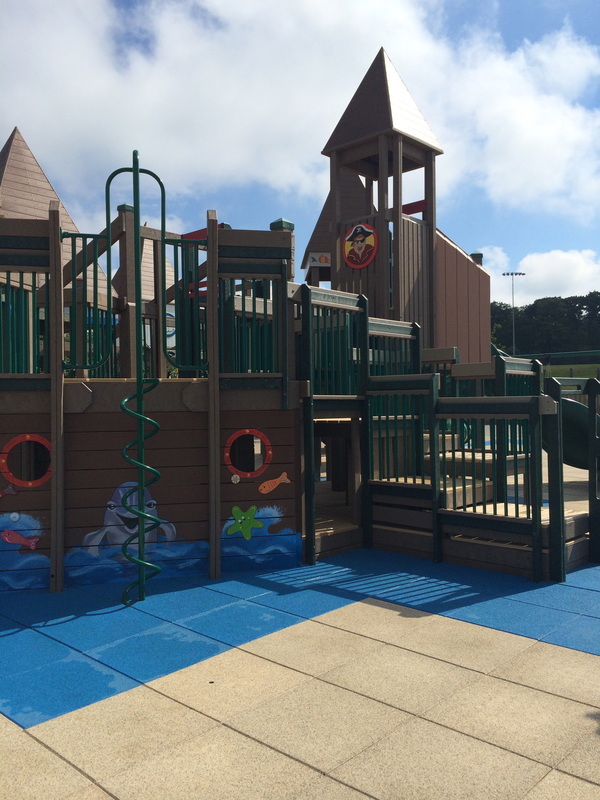 Last month, I got the amazing news that the Mount Olive recreation proudly received the 2015 Excellence in Design Award from the New Jersey Recreation & Park Association on behalf of our township. 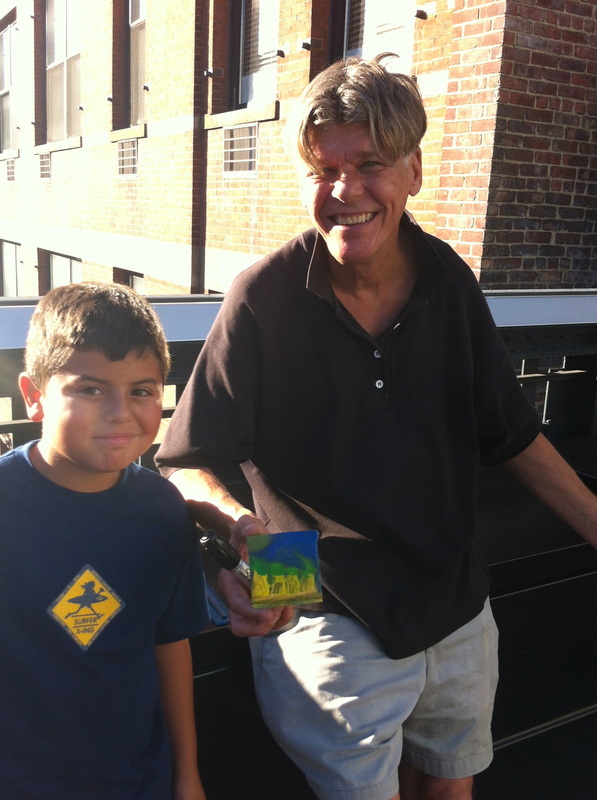 It feels good to give a hand to our communities... :). 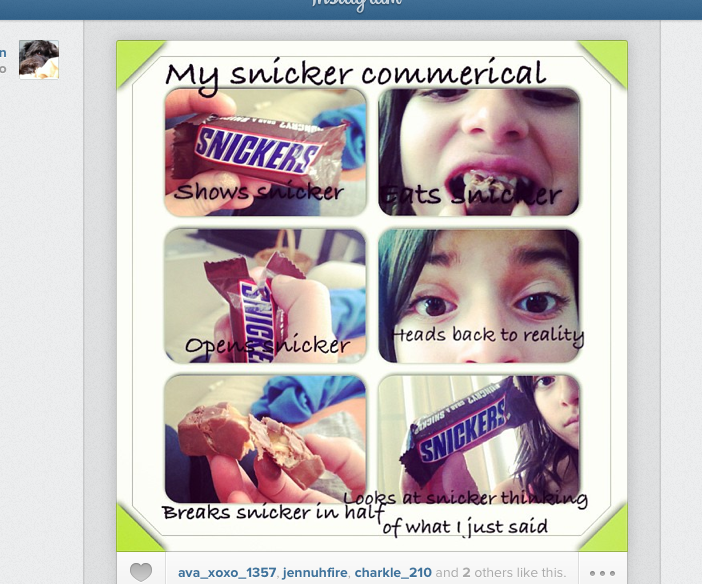 To my surprise, I found an advertisement created by my daughter (11) in Instagram. She got a pretty good concept on create one and I am happy to see her talent and initiative. I have a BA in Graphic Design, and worked in advertisement for a while, mostly printing products. Probably the first time I tempted to create one story board was while in college… It was hard for me to create one. I probably had to sketch and create a dummy, and erase, and erase and start all over several times. Was not easy to put our ideas out. We did not had the technology that this kids have today, and of course our quality of our add were not even close to what my daughter did in probably a couple hours. I am glad to see her interest and that she feels confident expressing herself graphically…. I love when I found the little things they do. Love you my little artist!!!! -Mami. Just a mom can understand the meaning of this drawing, and smile while see it. Just a mom that takes a child from one field to another and wait for hours no matter the weather. Just a mom that fights yellowish pants stains, game after game can really appreciate what this drawing really means. My son did this picture as a free drawing last spring and I just love it. 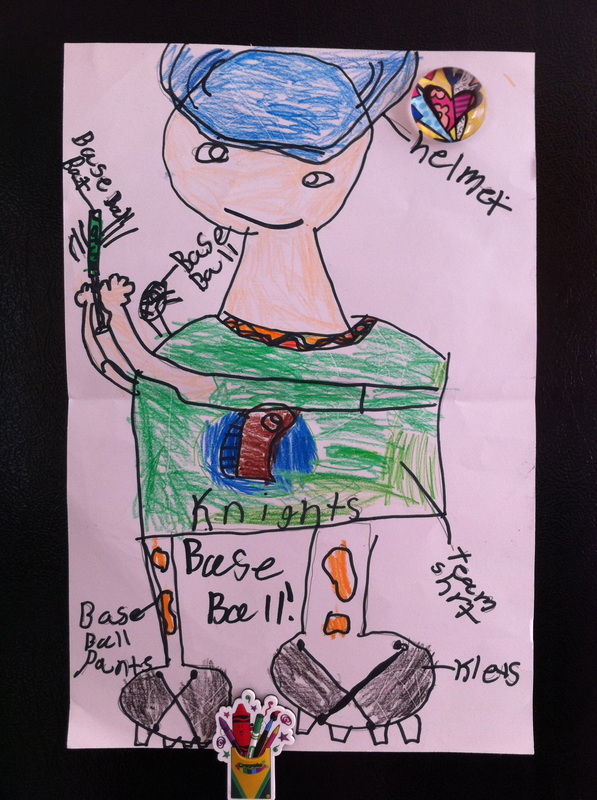 He picture himself in his baseball uniform and identify every little detail. Through this drawing I certainly can appreciate both, art skills of an eight year old and a mom's life that I'm proud to enjoy. Love you little baseball player!!! 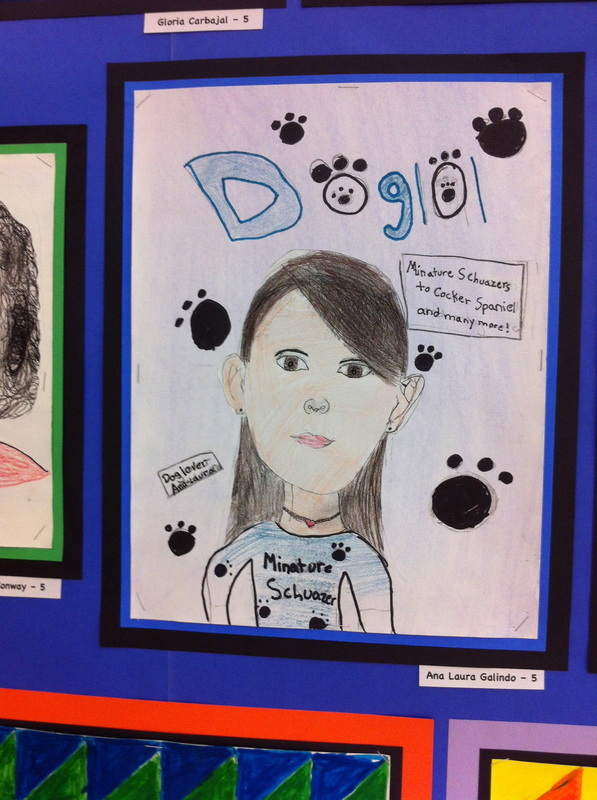 My daughter Ana-Laura is an 11 year old, that likes dogs. She had to create a self portrait for school and made it into a magazine cover. She chose to design a magazine about dogs. She did a great job portraying herself, I think her design was well planed and clean. She carefully chose the color and the details she wanted to add. Ana-Laura also made a clear statement about Bono's breed, our dog. Sometimes I get amazed on how kids can mix what they like in a single creation with out hesitate. You go Girl!!! 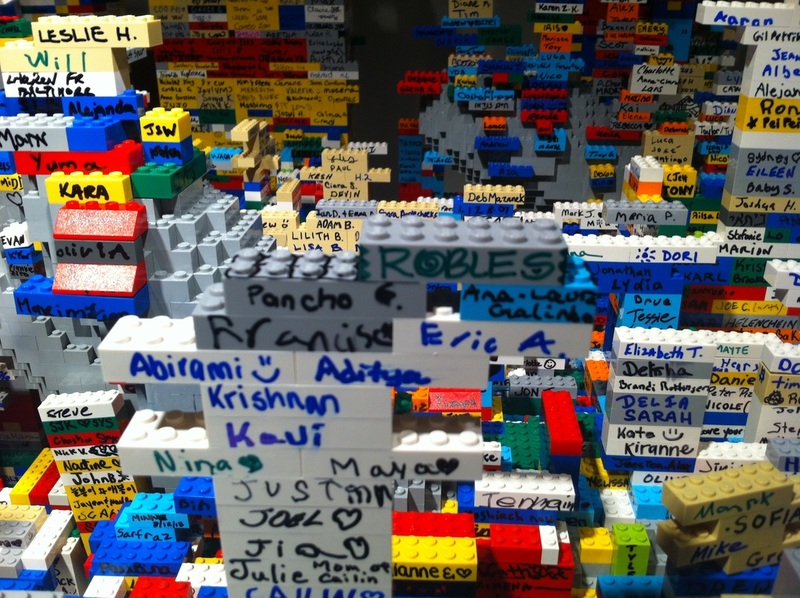 Hundreds of lego pieces, signed by visitors were collected at the end of The Art of the Brick exhibit in Time Square. 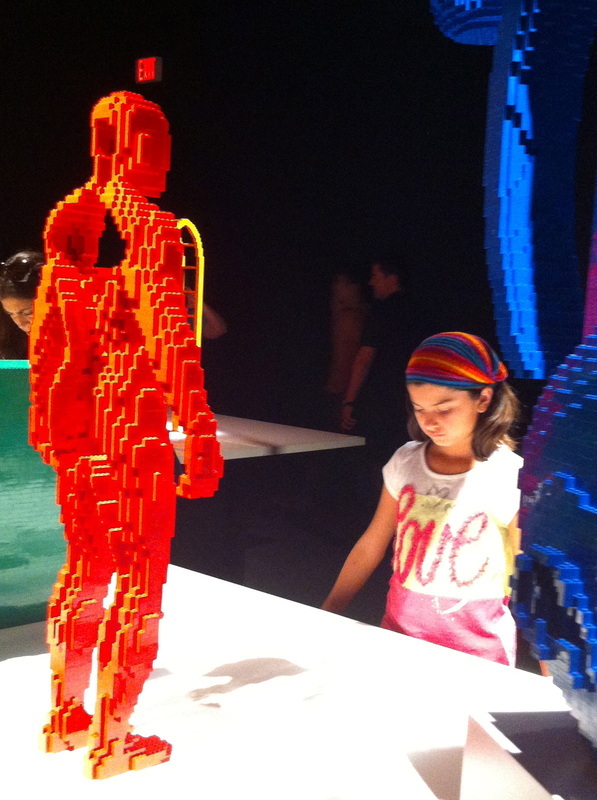 The ides was that the artist, Natan Sawayan will create a big sculpture from those legos that later on will be display in a public space. 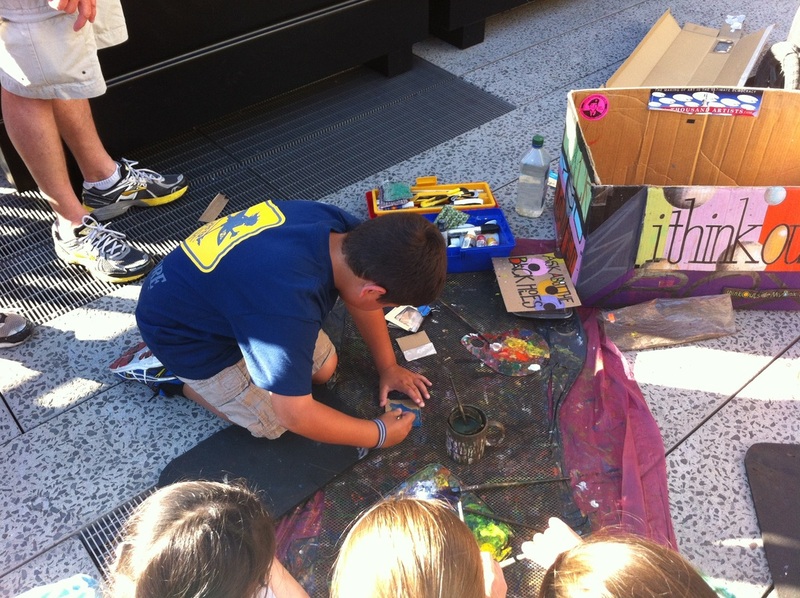 It was an activity for all ages and a great way to keep people involve. We all participate, Francisco, Ana-Laura, my husband and me. 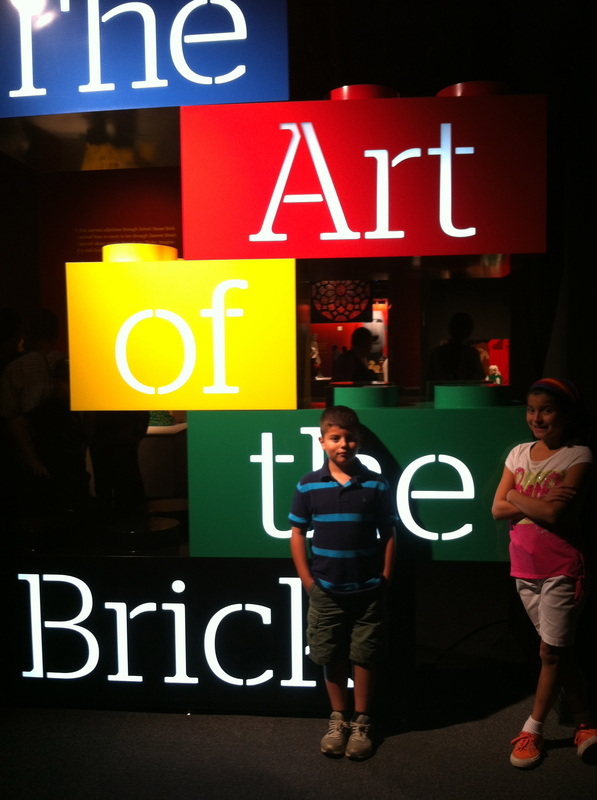 A few weeks ago my husband and I took the kids to The Art of the Brick exhibit in Time Square, NYC. 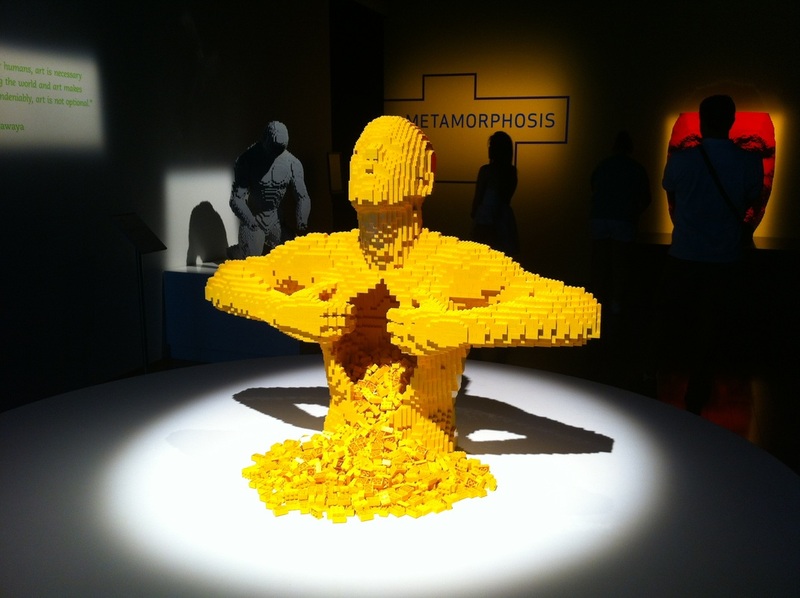 A show of art pieces created with legos by the artist Nathan Sawaya. He not only reproduces well known master pieces as the Parthenon, Monalisa, Venus of Willendorf and others but also displayed some pieces of his own creation. The exhibit was overall good and interesting, definitely got my kids attention. In my opinion a good size show to take kids to learn about art and creativity. 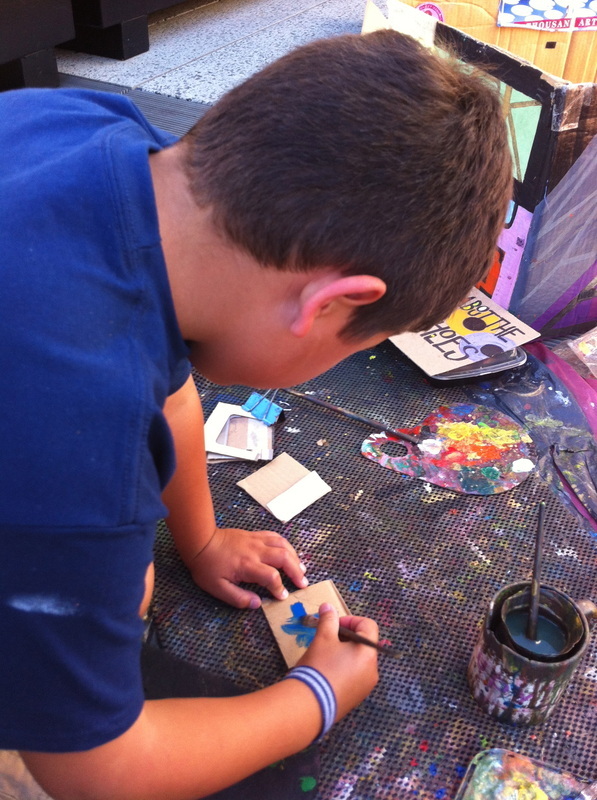 It was colorful, fun and some areas were even interactive for them to create or to listen. My children enjoyed seeing how Sawaya use a toy to express himself and how he challenged himself trying to recreate masterpieces. I appreciate my kids artwork. I know how much means to them, how much effort they have put on and how proud they feel with the results. 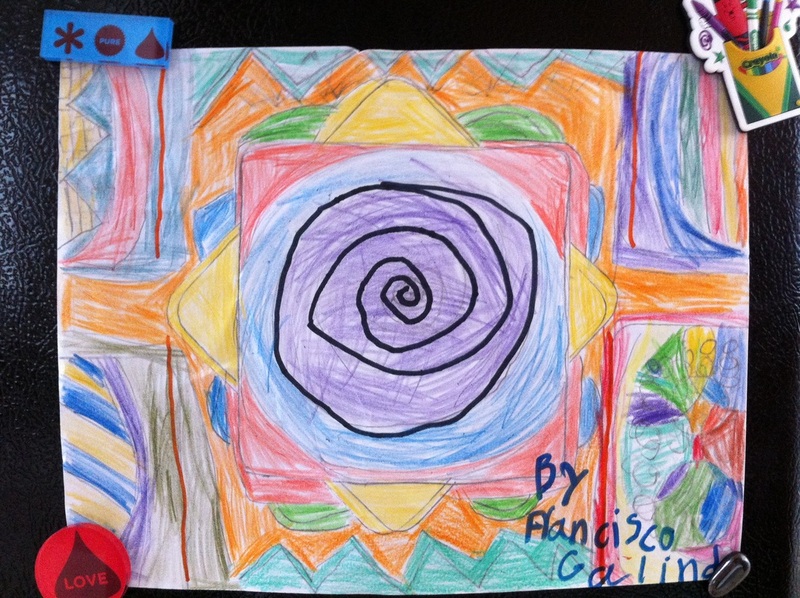 Therefore, as many moms I also display my kids artwork in my kitchen. If I forget to put the art piece, my kids put them there for me. We all know that every effort from everyone at home is appreciated. Off course my gallery is a busy one. There is always new pieces to display and to talk about, like the one above. My son create this piece by himself. He came with the idea when he saw his colorful cones pile one on top of the other, then he decided to design the background -which I consider pretty tasteful and coordinated. The cones are in the center and you can seen them from the top. First the red, then the yellow, then green and blue. The purple in the center is the red cone but the spiral mark the top from the narrow area to the wider. My son is only 8 and I have to share his effort and his complicated design thinking. 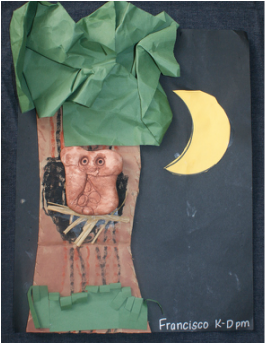 This owl was made with magic model by my son, three years ago when he was in Kindergarden. 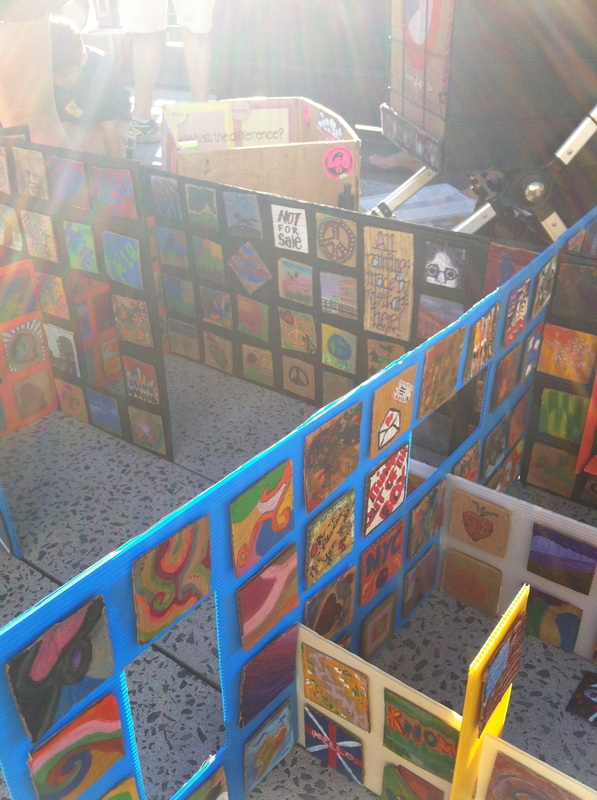 It was a class project that was featured in the school art show that year. Of course I am his mom and I think he did a wonderful job. As art educator I commended Mrs. Palmisano for guiding the children through this process. Here, kids not only experiment with diverse materials but also, learned to follow instructions and feel proud of themselves even at a short age. I created this piece as project for my digital image class at the MA program. I wanted to create an artistic meme that communicate my beliefs. I used the quote “make art not war” as the cornerstone of my design. Then I planned my graphic and animation, I used Photoshop CS3. The original gun was a realistic picture, which I cut, and adjusted its highlights and medium colors with the idea of create a piece of art from such a warlike object. I used the balance color tool to create each the palette and position them in a way that the end result came up as a whole art piece, so the viewer will see ART and not war. What do you think?